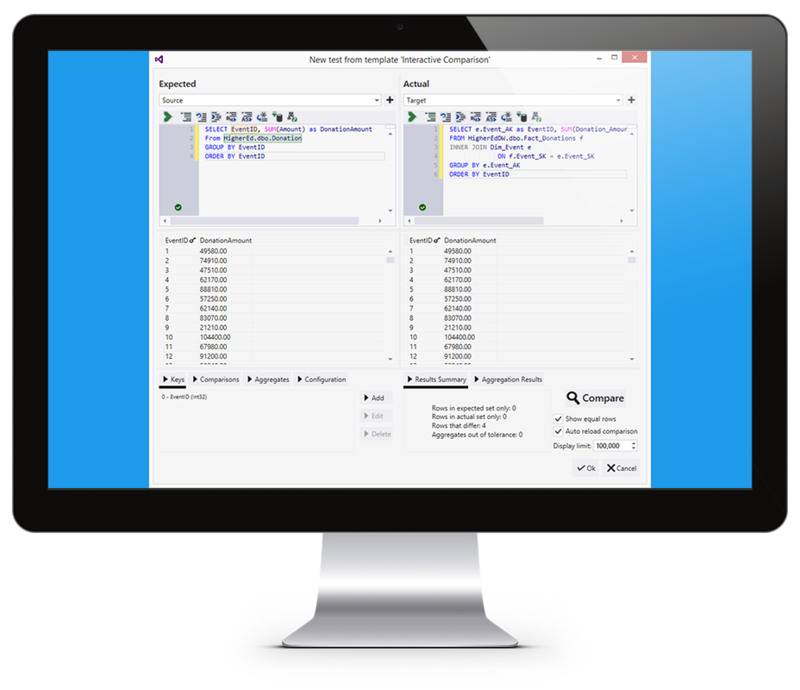 SentryOne LegiTest’s systematic, wizard-based approach makes testing your SQL Server databases simple. You can test your table structures, stored procedures and more using pre-built actions and assertions to work with your database in minutes. LegiTest is integrated into the familiar Visual Studio / SSDT environment, and you can use a graphical designer to create the tests. Since LegiTest connects with any database with an ADO.NET provider (which includes ODBC and OLE DB), you can test across multiple databases on different technologies. Testing a modern data infrastructure requires more than just testing your database. You need to test the solutions you use to manipulate and move data. 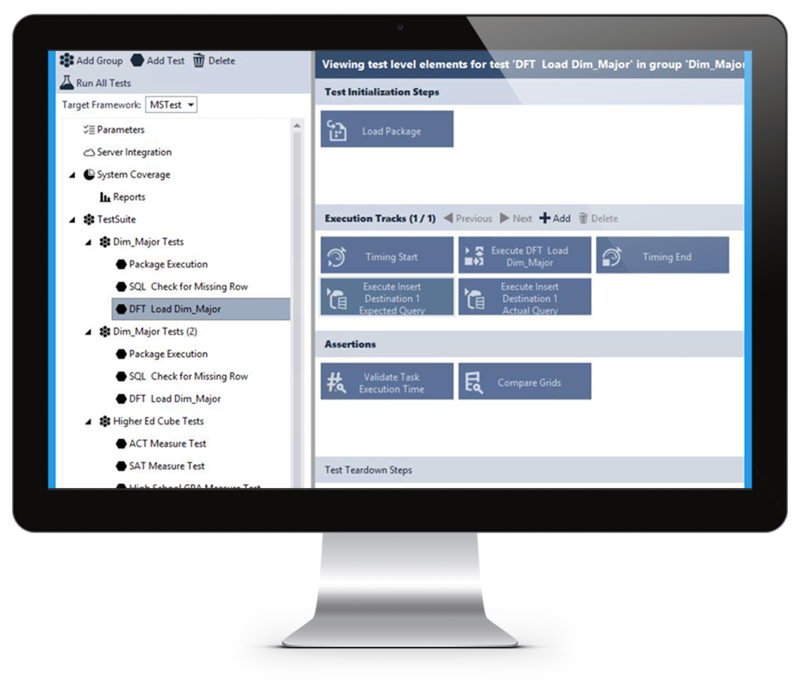 LegiTest supports testing SSIS packages, enabling you to test an entire package or just a small portion of it. Since LegiTest uses a standard Arrange – Act – Assert approach to testing, you can set up everything necessary for your package to run, and then test it in isolation, without affecting your real data. Business Intelligence (BI) and Data Warehouse Testing allows you to create a LegiTest test case once and execute multiple times across a large number of scenarios using input data from a variety of sources (including any ADO.NET source, SalesForce or REST Web Sources). 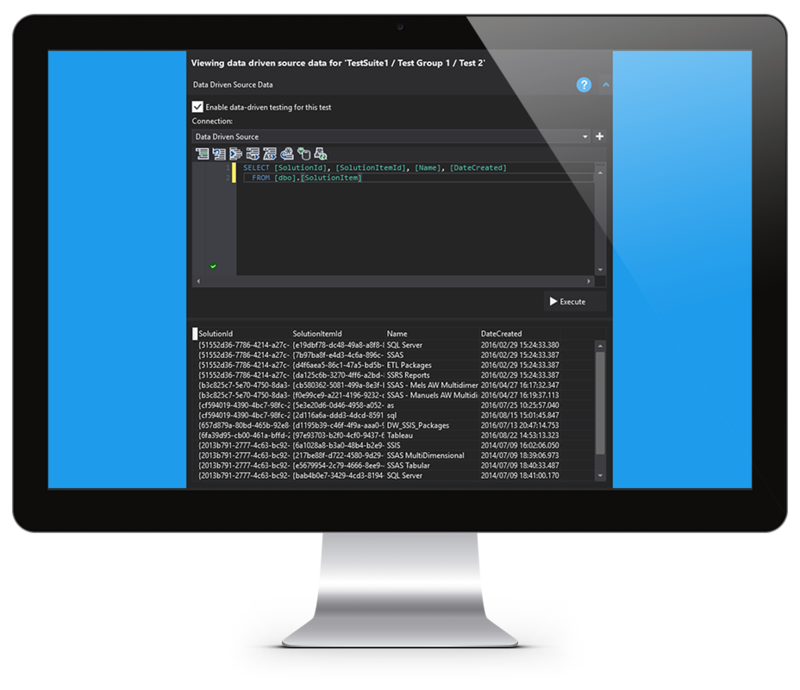 The dynamic parameterization reduces coding time and allows for greater productivity and efficiency with LegiTest. Quickly and easily set up comparison tests for your data with LegiTest’s Interactive Comparison Editor. The Interactive Comparison Editor allows you to test across ADO.NET, OLE DB, ODBC, and REST sources of data. Not only is it important to test more than the underlying code, but you also want to test what your users will see. LegiTest supports testing SSRS reports, so you can verify that the data your users see on their reports is what you expect them to see. With support for testing both Tabular and Multidimensional SSAS databases, LegiTest helps ensure that everyone sees the same information. Whether you want to confirm that your dimension has the correct members in it or that your calculations are returning the correct results, LegiTest has you covered. Organizations today work with data from a variety of sources, not just relational databases. With support for working with RESTful Web Services, relational databases, file-based data and more, SentryOne LegiTest helps to ensure that your complete data-centric solutions are validated. For those unique data sources, LegiTest offers extensibility to plug-in your own adapters for other systems. When you are testing, it’s important to know how much you have tested and what still needs to be covered. 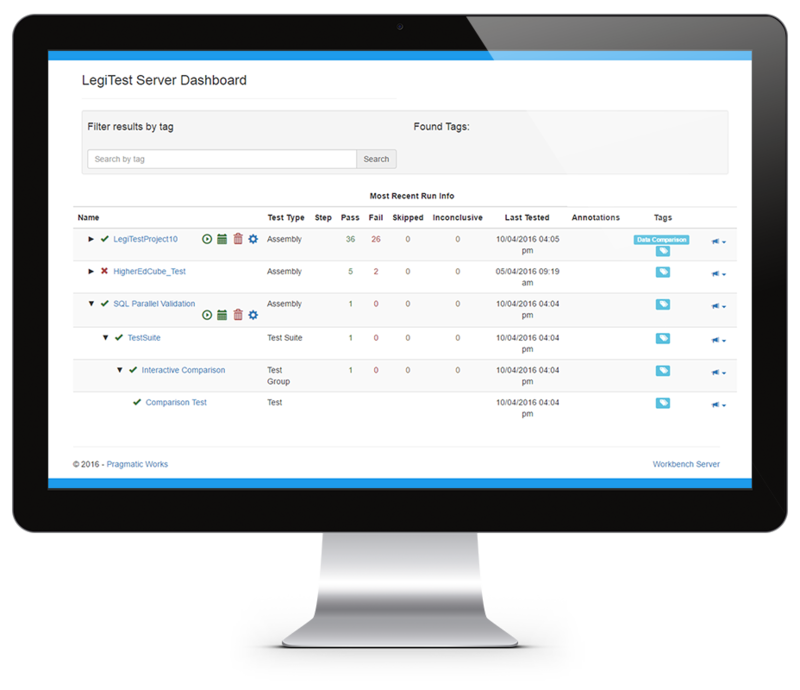 LegiTest Server tracks your system coverage to keep you informed of the testing status. In conjunction with DOC xPress Server, it can also highlight what areas would benefit from additional tests.